Wow! I loved all the projects entered this month!!!! Great job everyone! I hope to see even more entries next month! Winner of a pair of earrings (your choice) from Nest Pretty Things: #43 Emily of Phone Home Designs! 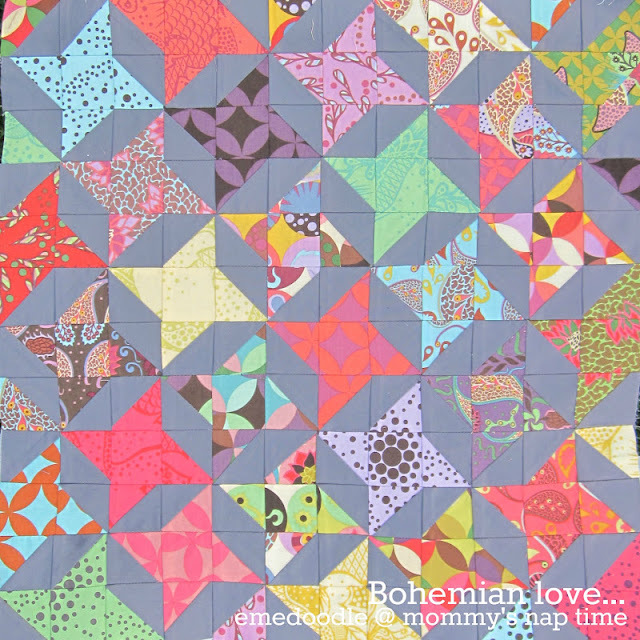 Emily made this awesome picture frames quilt from Tufted Tweets! Winner of the $25 gift certificate to Fat Quarter Shop: #6 Emily of Mommy's Nap Time! 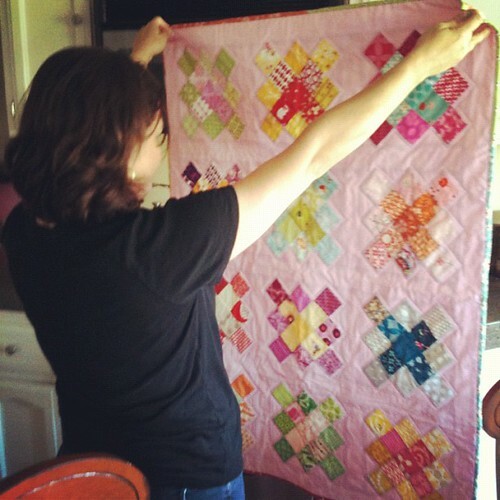 Emily made this beautiful mini quilt from AMH! Winner of the Katie Jump Rope charm pack is: #22 Jen who made this completely adorable quilt for her friend, Meg, who just had a little girl! Winner of a flat bottom pouch (your choice) from Handmade by Linda is: #28 Ella of Throw A Wrench in the Works. 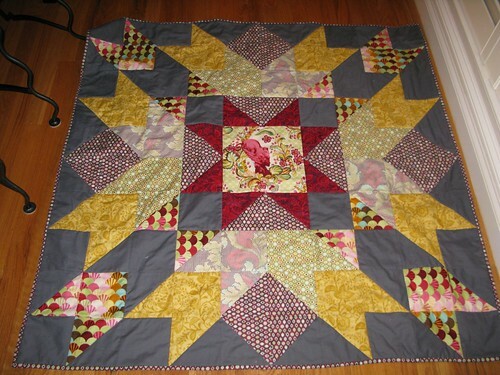 Ella made this Cosmic Burst quilt from Tula Pink's Parisville. Love it! 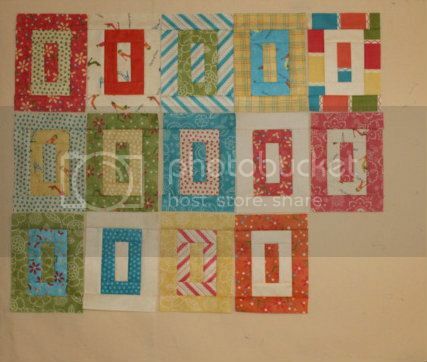 Winner of the vintage sheet FQ bundle from Jeni is: #37 Katie of Katie Mae Quilts who made a great start on her Precious quilt! Congrats to all the winners! I will be contacting you all to get your mailing information (or you can email it to me if you're reading this!) so the sweet people who donated prizes can get your goodies to the post office! Please be a bit patient this weekend since Quilt Market is going on and I know several of the contributors are attending. Ooh, how fun!! Thanks Kelly (& Dar)! Congrats to everyone!